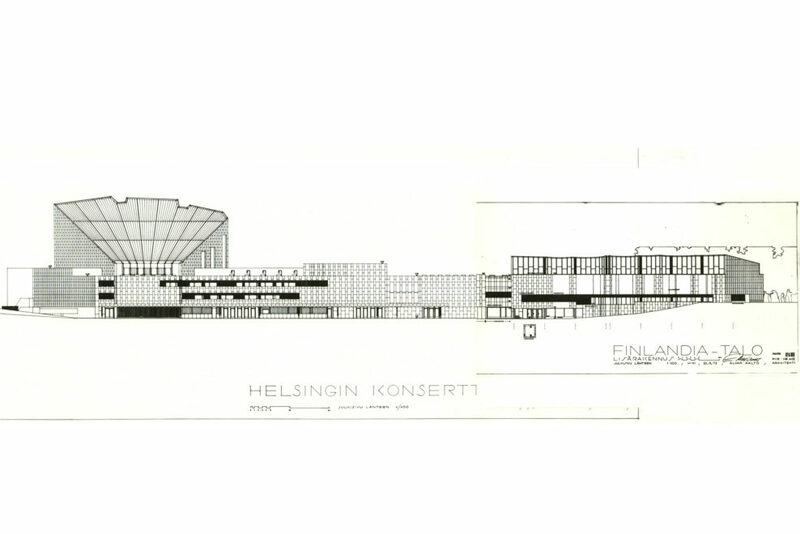 In 1962 the Helsinki city authorities commissioned Aalto to design a concert and congress building as the first part of his great centre plan. 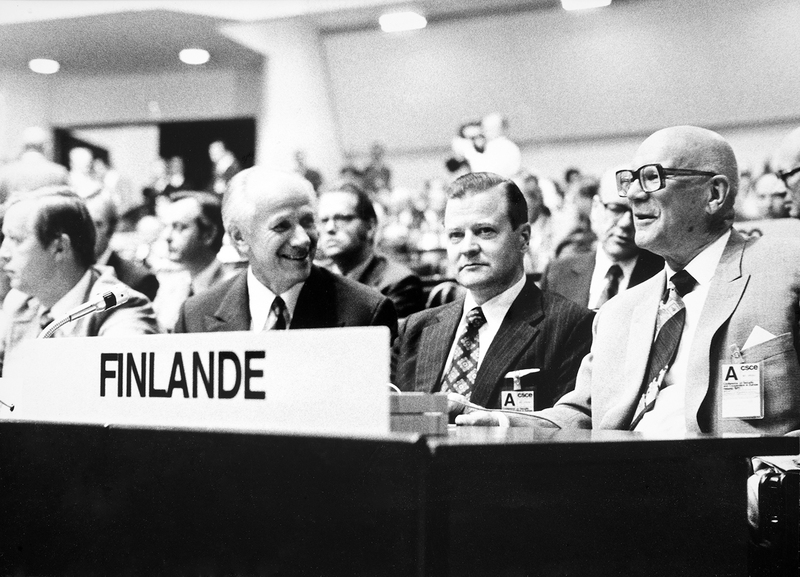 The Finlandia Hall was completed nine years later. Even the earliest plans show the main characteristics of the final solution. One of the most conspicuous alterations involved the chamber music room, originally intended to soar like the main auditorium above the main building mass. 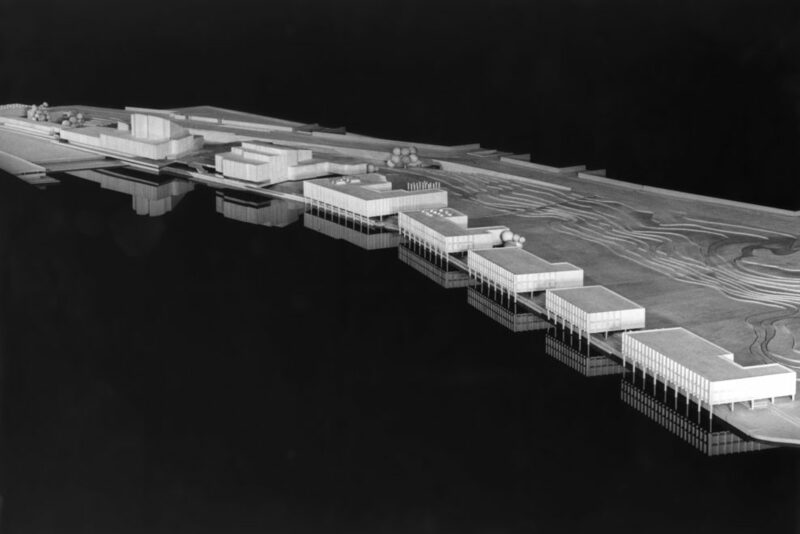 The Finlandia Hall was adapted strictly to Aalto’s centre plan, with its main (eastern) facade turned towards the projected Terrace Square and the car entrance on the bottom level, intended to continue in the form of a tunnel to other cultural buildings along the shore of Töölö Bay. At this level each section’s own access stair can be reached by car. 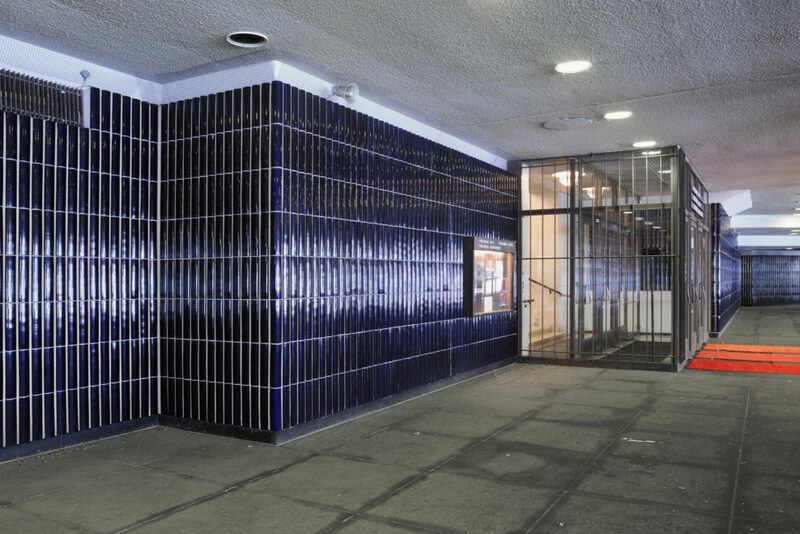 The next storey, or entrance level, with doors opening directly into Hesperia Park, is dominated by the entrance hall, and also contains cloakrooms and other service space. 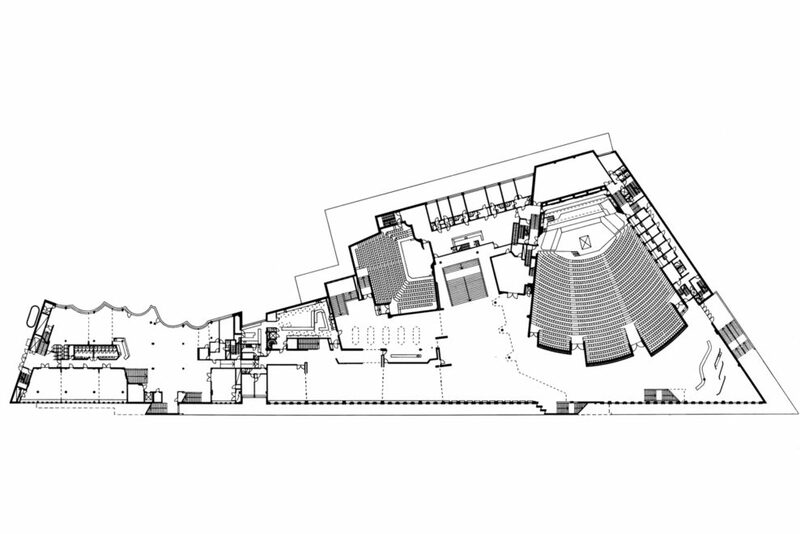 A broad staircase leads up to the foyers with entrances to the large and small auditorium, the restaurant, etc. 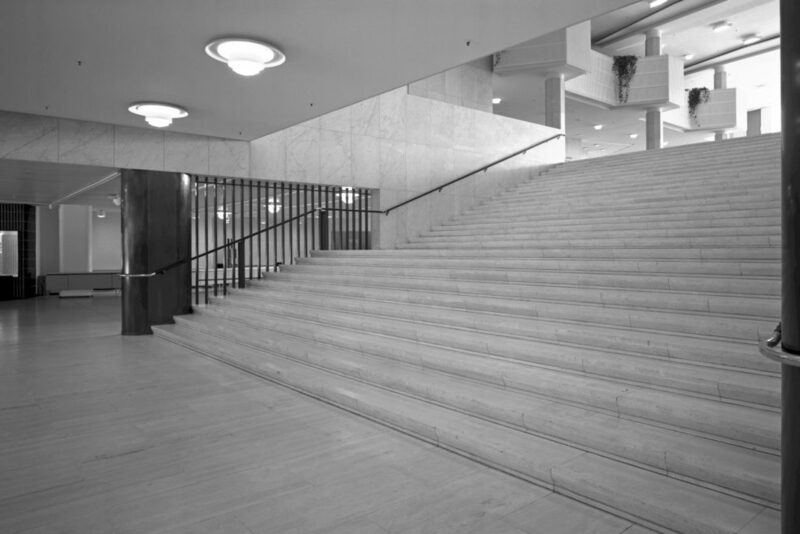 Smaller staircases (one of which forms a visible exterior motif in the east facade) lead from the main foyer to the gallery-like balcony foyer and the doors to the main auditorium’s balcony. 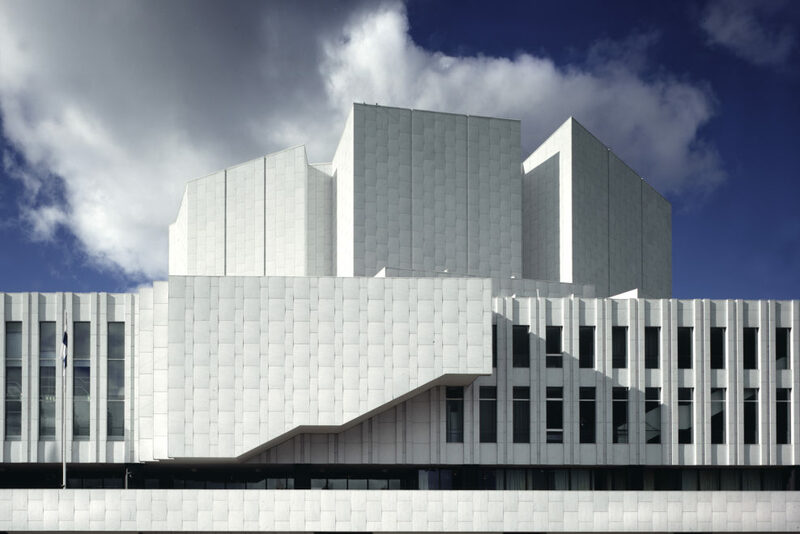 Principally responsible for the design of the interiors at Finlandia Hall were the interior designer Pirkko Söderman and the architect Elissa Aalto. The small chamber music room, which has adjustable, shield-shaped acoustic screens attached to the ceiling, seats 350 people; the main auditorium seats 1,750. 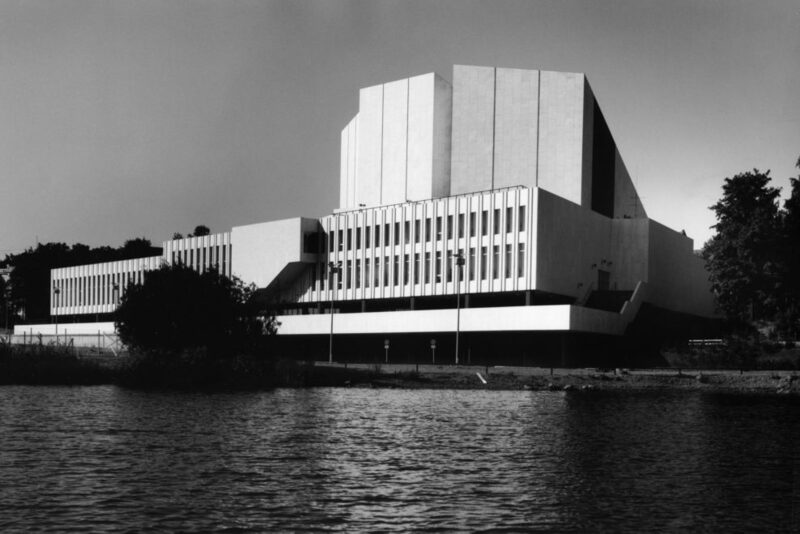 The Finlandia Hall was inaugurated in December 1971. 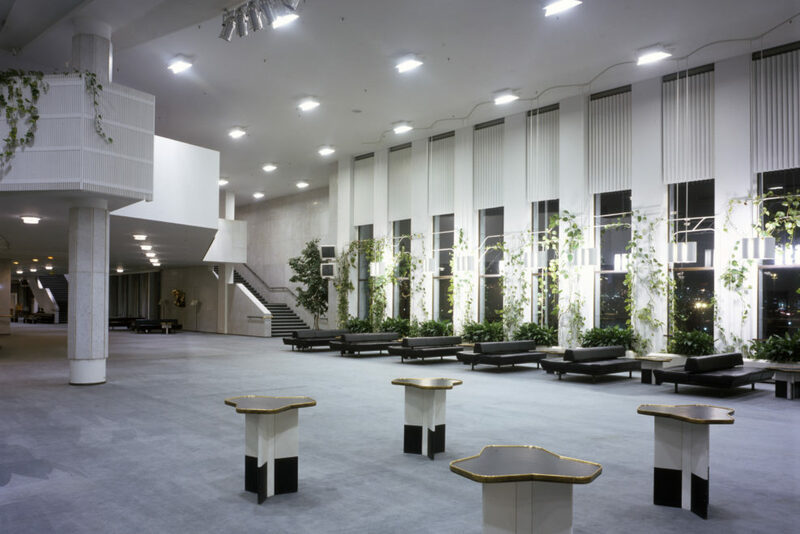 Planning of a congress section began even before the main wing was completed; the congress wing was ready for use as early as 1975. The idea was to improve the working conditions for conferences, an important aspect of the building’s use. The congress wing, linked to the south end of the main building, contains a large foyer in addition to conference rooms and halls of various sizes. The west facade of the wing has large windows and rounded, concave hollows to make space for some of the old trees growing on the site – and to enliven the facade. Please note that changes may take place in these times because of events at Finlandia Hall. Guided tour includes a complimentary cup of coffee or tea at Café Veranda. Coffee or tea is not included into the Group tours. Tours start at the Service Point next to the Entrance (Door M4) on the Mannerheimintie side of the building. 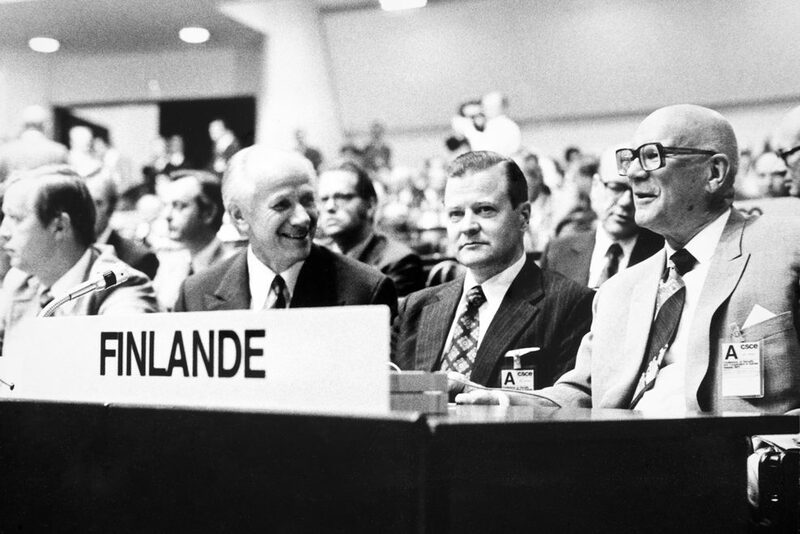 The annex of Finlandia Hall turned out to be a boon in 1975, when the Conference on Security and Cooperation in Europe (CSCE) brought the heads of state of 32 nations to Helsinki and the subsequently oft-cited Helsinki Declaration was signed at the Finlandia Hall. The newest part of Finlandia Hall was added in 2012 on the Töölönlahti Bay side at street level. This roofed exterior space was converted into interior space housing public spaces including a new café. Photo: Ground floor before changes. 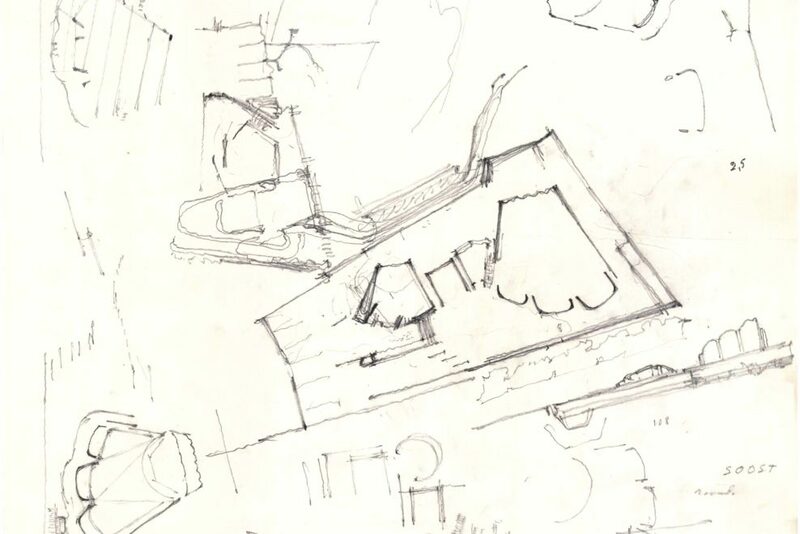 Maija Holma, Alvar Aalto Museum. 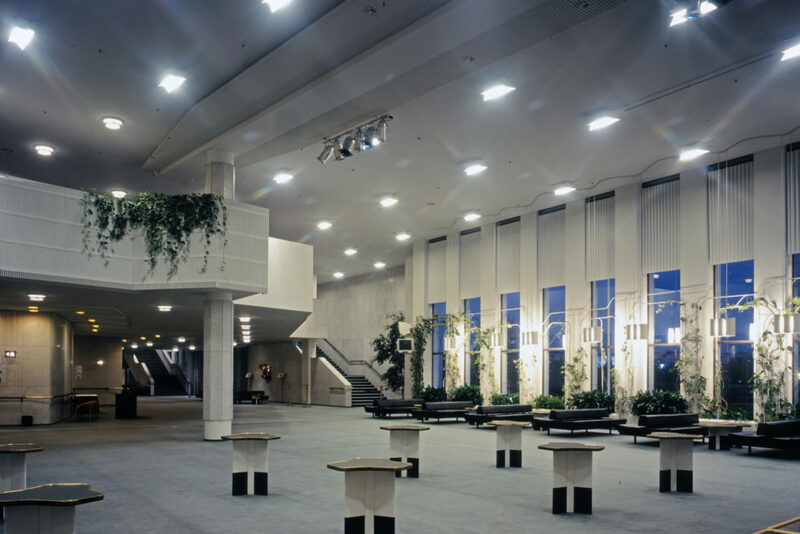 Finlandia Hall is an active conference and event venue. 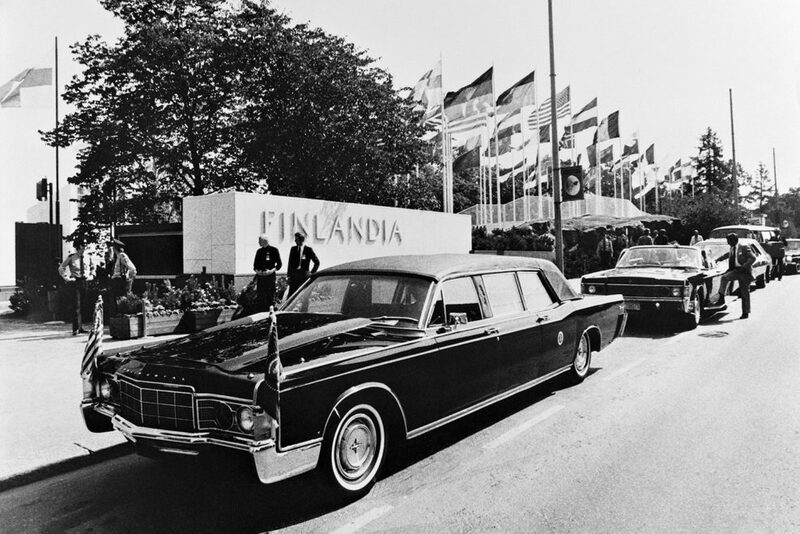 More information on Finlandia Hall website. 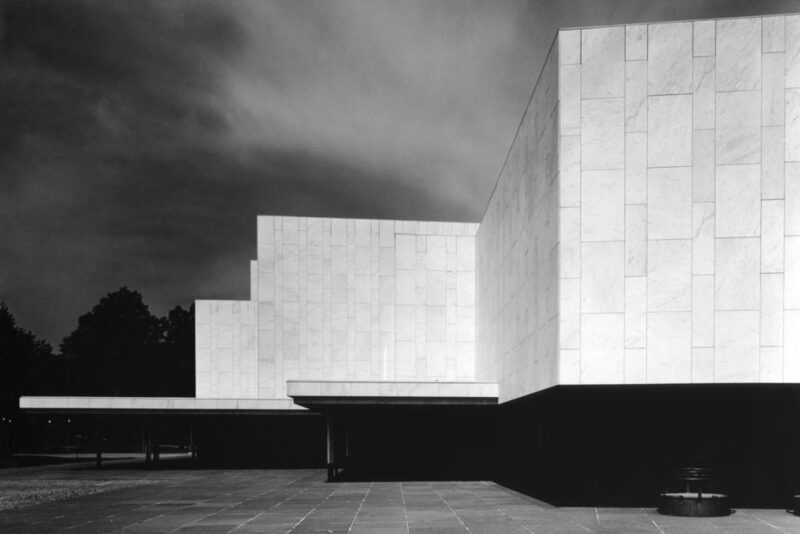 Photo: Martti Kapanen, Alvar Aalto Museum. 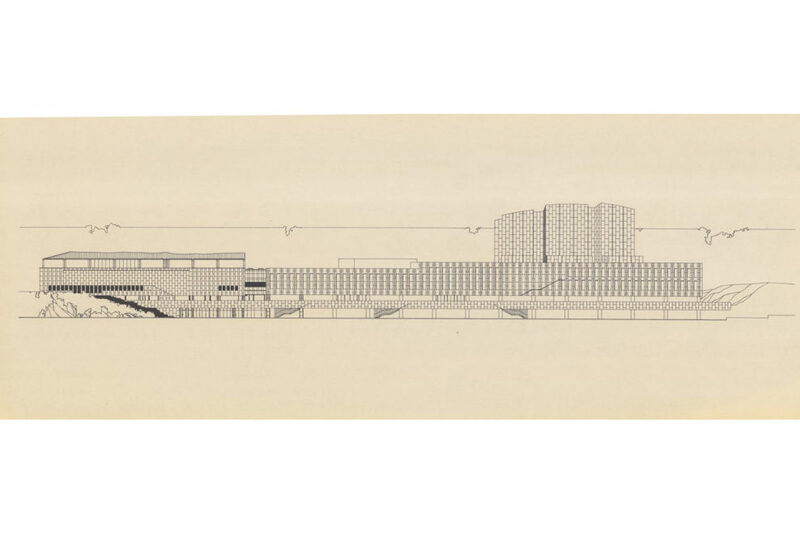 Selection of works from Alvar Aalto - architecture and design.